A Perfect look and perfect figure transforms into endless desire in a society where Lookism is rampant. Your Venus is a simple dress that is partially made of a special projectable textile. 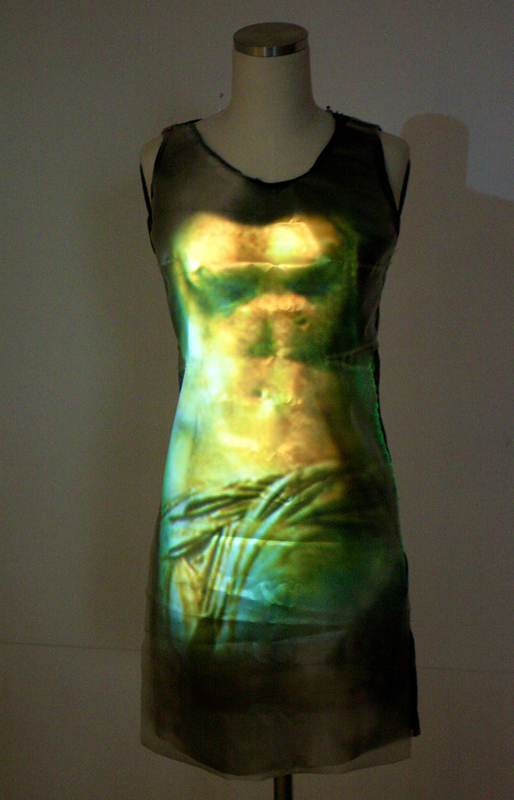 On the surface of the dress, the visual images that express different desires of perfect beautiful body in different time and societies; such as Greek venus torso, bobby doll, corset torso, and 8 more torso images are projected. 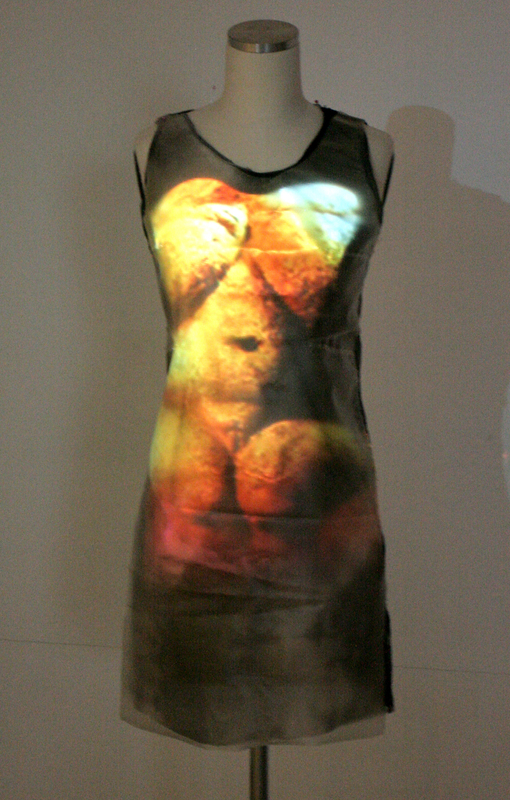 A dress handmade of clear rear-projection textile material, 12 images of various Venus torso projection mapped.